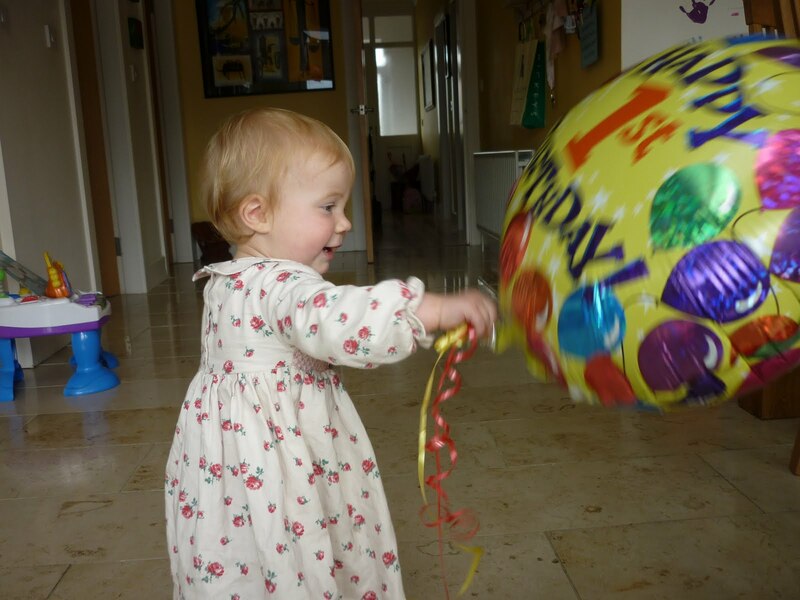 Ruby was one yesterday, but like a present being slowly unwrapped, she is the celebration. This has been the hardest time of my life, and there were many’s a time over the last year when I honestly did not think I would survive. But I did….and more surprisingly, so did Ruby… a thriving fiesty determined amazing bundle of cuteness. A beautiful gift. If extremely noisy! Oh, how she is noisy! And as she (rapidly) grows – already walking, coming up and down the stairs, and getting off beds and sofas feet first (something it toook me at least 18 months to teach the others) I realise she too has a different personality and we have three amazing unravelling mysteries in our midst. Whereas Poppy is slow and deliberate about everything, Ruby is already a speedy Gonzales, like her older sister Daisy. Let me explain just how slow (I really should start saying methodical) she is – Poppy’s latest behavioural nuance is to wear socks and a cardigan every night in bed. OK, this doesn’t seeem to be too extreme… except every evening she spends (at least) 15 minutes deciding which pair of socks it will be – and often changes them at least three times before morning! She lives so far into her own world, it often takes me 15 times to say something before she looks up in surprise and realises I’m talking to her. She has developed an imaginary friend called Heart. It took me a while to realise just how important Heart is, and how involved she is in our lives. She currently joins us for most meals, and is over for playdates nearly every day. Poppy apparently watched an amazing TV show (all made up, but complex, thought out and detailed) at Heart’s house one day and they chat on the phone all the time. Poppy hasn’t mentioned her height in a while so it all made a bit of sense when I asked her what Heart looks like. “She’s small like me and will always be the same size as me.” Whatever gets you through the day I say. And now there is Ruby Rose. A law unto her own. I’d forgotten how rude toddlers are! Whereas Daisy and Poppy ask for everything with a please and a thank you, Ruby just points and screeches, then grunts! But she is fast emerging into a loud boisterous personality, full of smiles and nuances. Happy birthday my precious girl…. I love being in the front row of your amazing show. Oh you just have a beautiful way with words. As always, loved reading your update about your gorgeous girls. You are such an intuitive Mama. Your little ladies are lucky ones indeed. The computer in my head line is just brilliant, what a clever little lady. Those comments must just make you melt with pride. they really do surprise us when they turn out so differently, don't they? happy birthday to your fiery Ruby! GREAT POST, THANK YOU FOR SHARING – MADE ME REFLECT ON MY CHILDREN'S CHARACTERS!